Some kids don't like bathing. 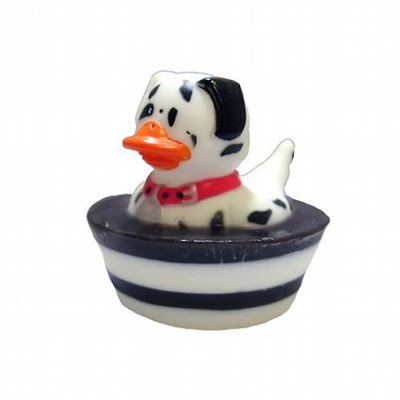 But I bet they will when they get this super cool Dalmatian Dock Rubber Duck Soap! By Sweet Lollipop Shop. Who is the fairest of them all? Whoever is wearing this cute-r-iffic crown, that's who! 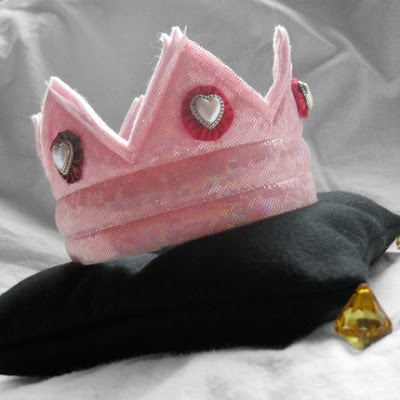 This Royal Crown is created by World of Whimm & is made of washable fleece. And for the boy with an imagination here's a very cool gift! 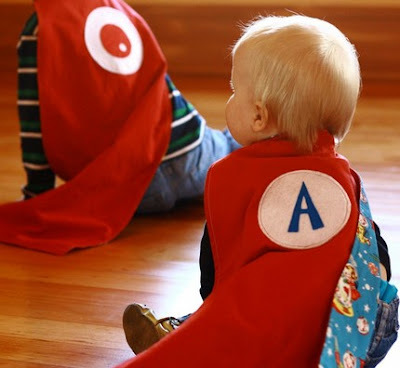 This Kids Superhero Cape is CUSTOM--you pick from the patterns provided &/or you can send in your own fabric. By Panjo. This is my new favorite kid thing. 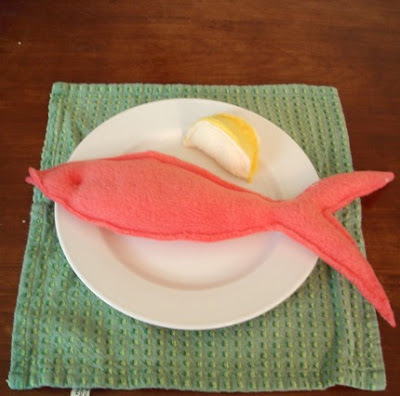 Washable Fleece Playfood! Pictured is the salmon with lemon. Browse Remember When's shop for more foodie fun- & at a great price too! I always like to include something crafty as a gift to my girls, something crafty THEY can make. 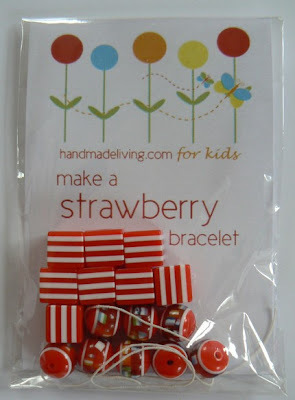 This Bracelet Kit for Children by Handmade Living. The kit comes with lucite beads & elastic string. Recommended for ages 5 & up. nanaCompany is one of my favorite shops. I often drool over her pretty kids aprons & sweet little things. Her shop is closed for baby #3's soon arrival, but browse her sold items & drool yourself. Pictured here is her Sweet Treat Gift Set. It comes with a child's apron & a baking utensil set all tucked inside a European valise-style lunchbox. 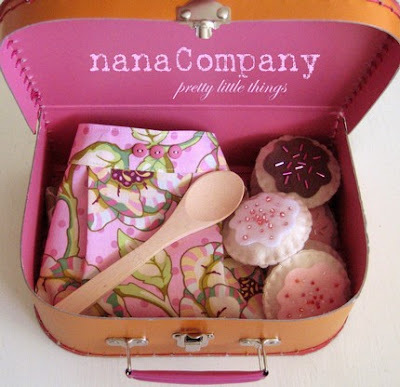 nanaCompany's sweet playtime sugar cookies are among my favorites too! This plush toy named Penelope is from Skullboy Worldwide, Inc. Several styles are available. 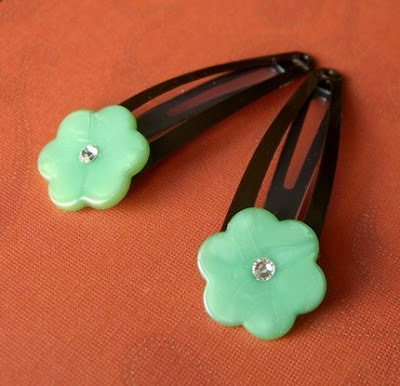 Bobbies & clippies in every color under the sun are available for a sweet price at Little Daisy Chains. 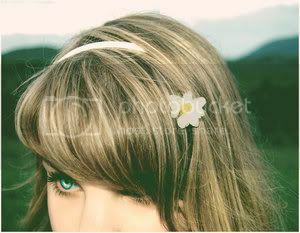 Pictured are the Green Daisy Clippies. 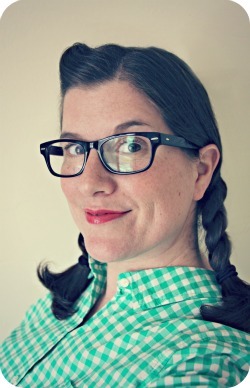 Little Daisy Chains specializes in jewelry & hair accessories for kids & teens (young-at-heart adults! ).